Are you like me? 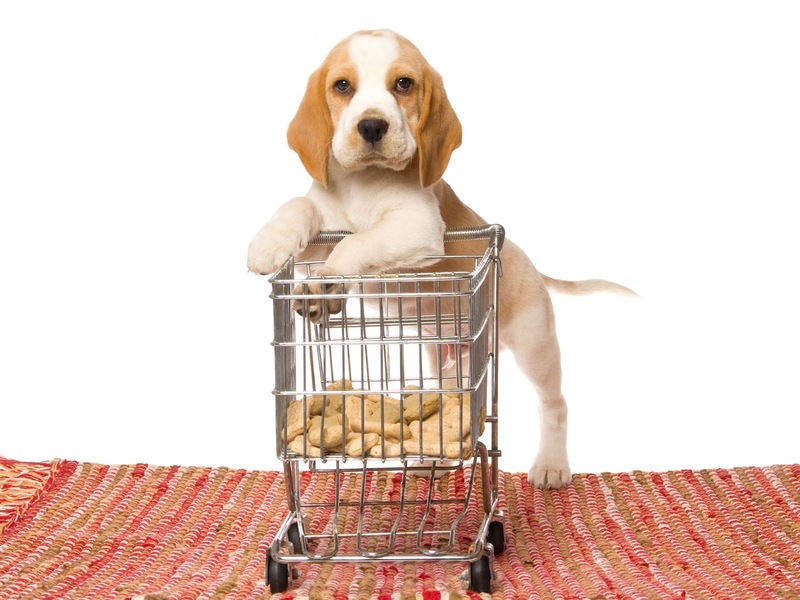 Do you cringe when you go shopping, wondering how much money you will spend? You name it: food, gifts, laundry detergent, garden seeds, gas, or clothes. We always need something and we always need money to pay for these things. The truth is that our purchases add up to a grand sum. Yet when people are asked how much money they need for their lifestyle, they are clueless. This information always remains missing in action because we don’t track and tally up these expenditures. To further complicate matters, these small everyday items only make up a portion of our total lifestyle costs. We haven’t begun to add into the equation the big ticket items, like vacations, appliances, furniture, or home renovations, to name a few. When you operate a business, you are aware that business income is required for operating expenses, unexpected emergencies, and loan payments for land, buildings and machinery. You then need to consider the portion drawn from the business for personal lifestyle expenses. Answering the critical question, “How much is enough?” can be tricky when aligning your lifestyle and income. 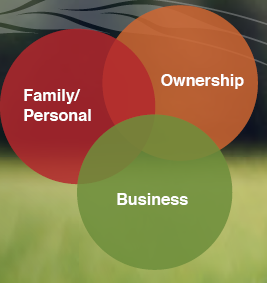 At a recent Farm Succession Planning Seminar, Kim Gerencser, President of K.Ag Growing Farm Profits Inc., posed the obvious question: How does your total lifestyle relate in proportion to your income? 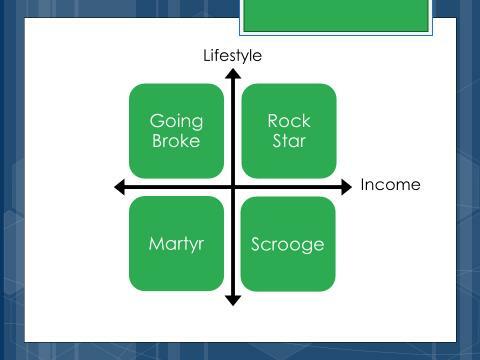 Kim’s illustration below indicates that when your income is on the positive side and your lifestyle matches, you are a reflection of a “Rock Star”. When your income is on the negative side but you choose a high maintenance lifestyle, then you’re obviously “Going Broke”. When your income gravitates to the positive but you choose a low maintenance lifestyle, you’re perceived to be “Scrooge”. When your income remains on the negative side, matching your low maintenance lifestyle, then you are a “Martyr”. Taking one step further, when the farm is transitioned to the next generation, the question is “How much do Dad and Mom need for their lifestyle?” They are looking to be fairly compensated for their farm investment so they can live their dream retirement. Reaching a compromise may seem like a “tug of war” in the negotiation process between the two parties, the retirees and successors. The starting point is knowing the parents’ lifestyle needs to quantify the amount of retirement income. Needless to say, some people are confused by an Estate Plan and a Succession Plan. An Estate Plan details your wishes to allow for a smooth transition of your assets when you die. A Succession Plan primarily focuses on a smooth transition of leadership, management, and ownership of assets while the retirees are alive. The purpose of a Succession Plan is to determine how the owners will access the value they poured into the farm while their farm still remains viable for the next generation. To help with the creation of a successful succession plan, a set of guidelines was developed by the governments of Canada and Saskatchewan under the Farm Business Development Initiative (FBDI) program. 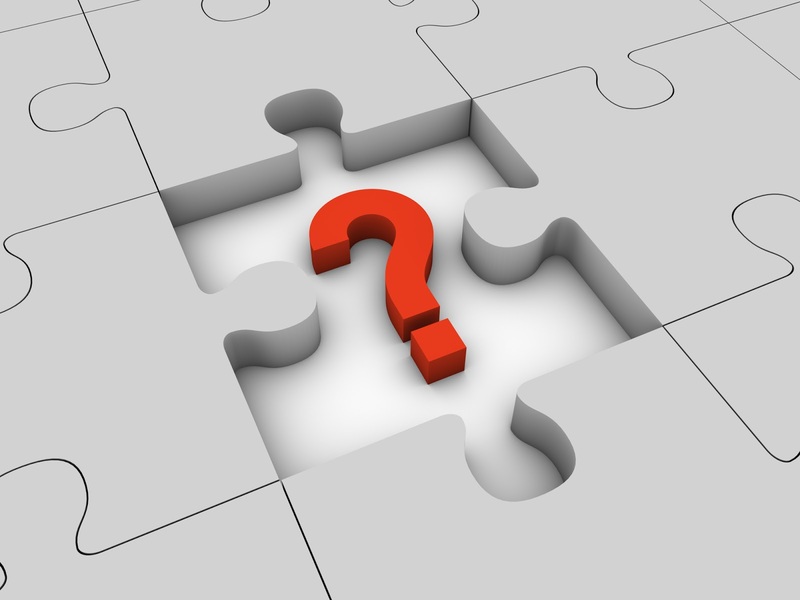 Discovering the answers to specific questions ensures a number of critical areas are addressed. A. Can they fund their retirement? B. Describe the retiree’s future lifestyle. C. What housing is required? What is the capital cost? Where will this money come from to purchase/rent housing? D. What is the retiree’s projected annual cost of living including such things as food, shelter, utilities, medical, travel, taxes, etc.? E. Does this retirement plan address life expectancy? F. What are the tax consequences for this retirement plan? 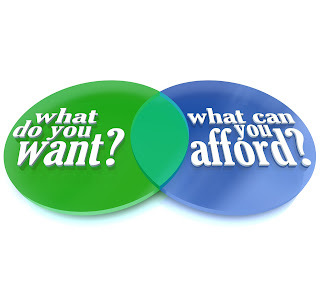 This question keeps appearing, “What is the retiree’s projected annual cost of living?” It’s evident we need “cash” to pay for our purchases, both our “needs” and “wants”. The next question which begs an answer is “You can have anything you want in life, you just can’t have everything you want” so what do you really want? Farmers are business people. Analyzing spending costs, both business and personal, is important to define your limits and whether inbounds or out of bounds. Lifestyle costs can no longer be missing in action. We need to find the number. One simple tally of the personal debit transactions on your bank statement will tell the story so you can know for certain. 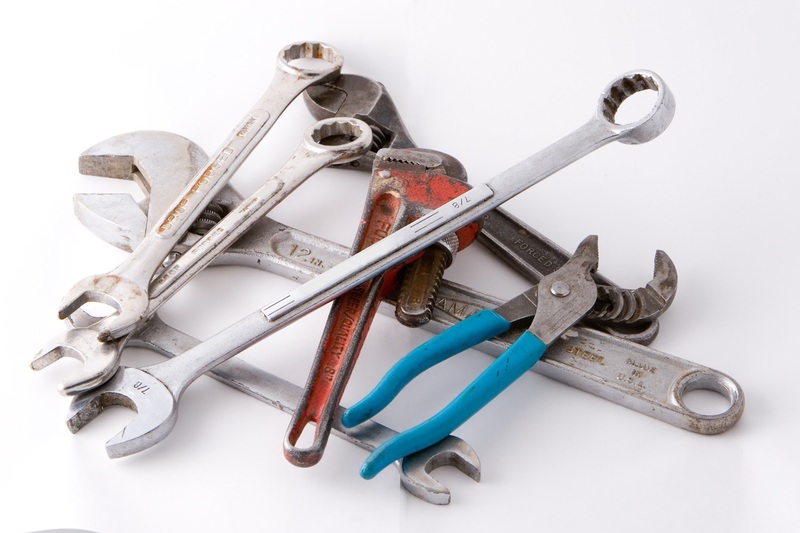 If you believe Succession Planning is complicated, perhaps you do not have the right tool in your toolbox? Working through the intricacies of your plan can be frustrating and complex. The last thing you want to do is “quit”. This tool, The Succession Map, might prevent you from doing just that. Does this sound like a commercial? You might be right but if it works and gets the job done … why not learn more about how it can apply to your situation. 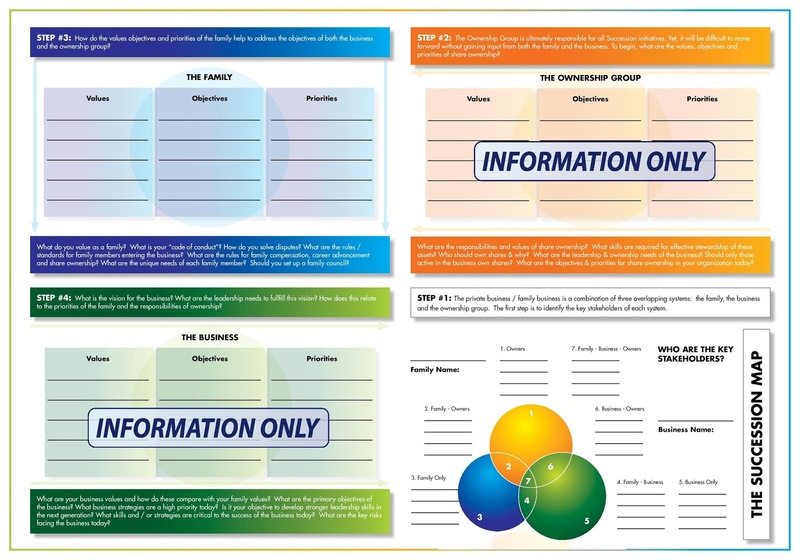 I learned about this effective tool from the course, Advising Family Businesses. Douglas Nelson, Senior Financial Planner, with Nelson Financial Advisory Service Corp, created this unique visual to navigate through the six-step process of creating a successful succession/transition plan. I don’t believe this tool was meant to be a secret but judging by the few who know about its existence I wonder why it isn’t well known. I like “clarity” every time I try to make a decision. For me, “seeing a situation play out on paper” creates clarity. Farmers understand that in order to get the grain, the wheat must be separated from the chaff. When you are creating your succession plan, you need to sift through information to get to the heart of the matter (the wheat), the important issues. To do this, understanding your business begins with implementing the “Three-Circle Model”. The Three-Circle Model refers to the three unique groups or systems which comprise your business: the owners (or shareholders), the family, and the business. Identifying individuals with a vested interest in your business determines their respective roles and categories. The stakeholders in a typical farming business may include Dad and Mom, farming and non-farming children, and hired farm employees. Obviously, Dad and Mom will fall in all three categories while the non-farming child is only part of “The Family Group”. Once you know who’s who, the stakeholders, you will also have clarity in understanding who should be involved in making decisions in the respective groups. Non-farming children would not partake in farm business decisions (The Business Group) but they certainly may be included in the discussions (The Family Group) clarifying the rules or standards for entering the business or owning shares. 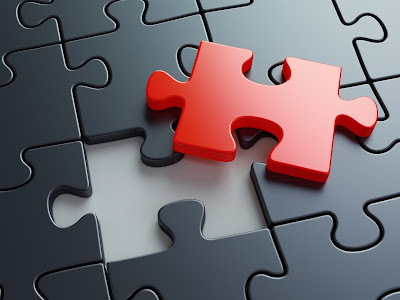 Dad and Mom (The Owner Group) may be the only owners but they are contemplating who else might be brought into the business as an owner and whether they are gifted shares or required to purchase them. Each unique category in the Three-Circle Model has its list of values, objectives, and priorities. Once these are clearly defined, everyone will have a clearer understanding of the expectations of them and the business. 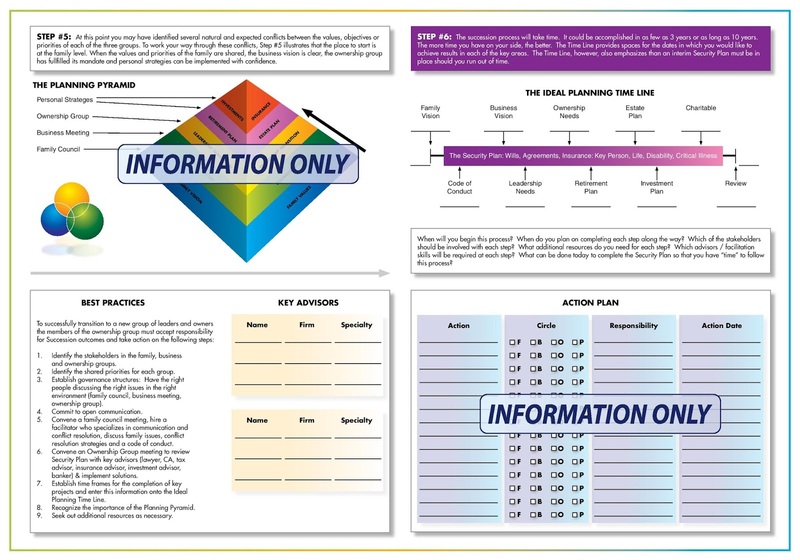 Using a tool like The Succession Map allows open and honest conversations to take the emotions and stress out of awkward situations. The interesting paradigm about the circles is the fact that each group influences its counterpart. Before they effectively operate in unison, you examine their components. What makes the family tick? What are their family values? What are the family’s objectives? Normally, it’s the family values which will coordinate and complement the business values. Farm businesses have been built on the hard work and sacrifices of their owners. I know this from watching my parents. Their farm was built as a result of hard work. They picked stones and roots by hand to have more cultivated acres. They milked cows and raised pigs and chickens to create cash flow for their farm and modest lifestyle. Their mixed farm operation pales in comparison to today’s large farm operations with their modern equipment and technology. The bottom line is a farm business is a business regardless of its size. Passing on the family farm business to the next generation is a tough transition because of its emotional connection. Growing a business is like raising a child for the business owners. True “sweat” equity in the farm comes about through hard work. As an owner, you want to preserve the sweat equity which is why working through this succession plan is so critical. 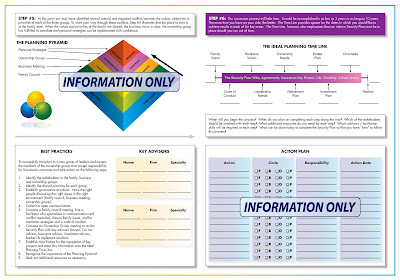 The Succession Map’s step-by-step guide works through any conflicts, irons out details, develops ideal planning time lines, and outlines a specific action plan. When you have an easy roadmap to follow, you can’t get lost. You might be stuck on some steps longer than you are on others. The benefit of using this type of tool is that you can easily identify where you are stuck so you can get “unstuck”. Now it’s your turn. Can you see value in this tool? Can you see how this type of worksheet might benefit you? Please share.